Don't Risk It! One Good Freeze Could Cost You Hundreds in Repairs! Call * 281-402-3100* right now, before the first big freeze to make sure all the water is evacuated out of your sprinkler heads, lines, and especially your backflow. You've invested heavily in your irrigation system so that you can enjoy a healthy lawn no matter what the varying weather in North Houston does. From drought to floods and back again, an irrigation system is the best way to make sure your lawn and landscape get exactly the amount of water they need. But, during the coldest few months of winter, your lawn doesn't need any water as it lays dormant. It is essential that your system is shut down for these few months and that the water is drained from all the lines and parts. Just a little bit of water and an overnight freeze could be catastrophic. The most common freeze damage we see in The Woodlands, Magnolia, Spring and the rest of North Atlanta is in the backflow device. Being above ground means backflows don't have the insulation of soil to protect them from the cold weather. While you may put a blanket or insulation round yours in January and February, we have often seen them bust anyway. 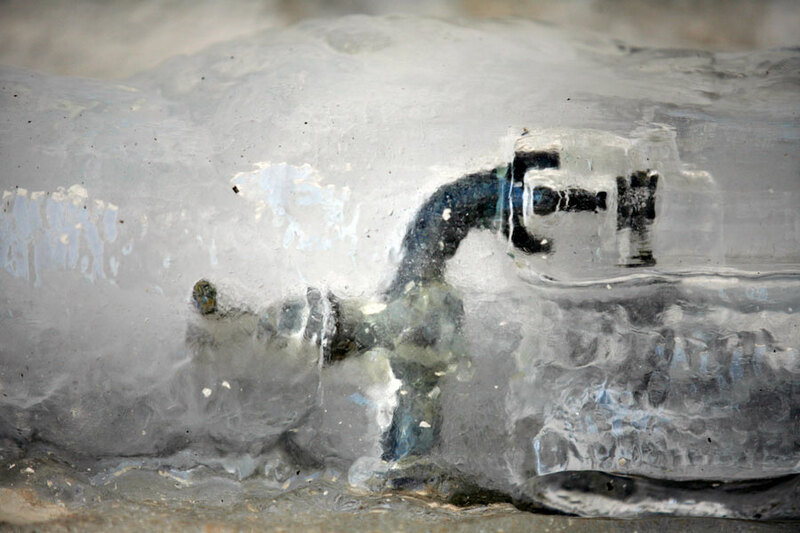 With some water in the backflow, a cold hard freeze causes that water to expand. This usually occurs in January or February. When the water expands and has no place to go it busts the entire backflow/pressure vacuum breaker. The results are usually a geyser shooting off the side of your house in the midst of the coldest days of the year. #1 Who wants to be outside messing with water when it is that cold? #2 Who wants to spend a fortune in wasted water that has created a mess on the side of their property? #3 Who wants to pay hundreds of dollars to replace the required backflow device? When we come out to winterize your system, we'll turn the water off and drain all the water from the system. We'll inspect every part of your system to make sure all is well - for free! 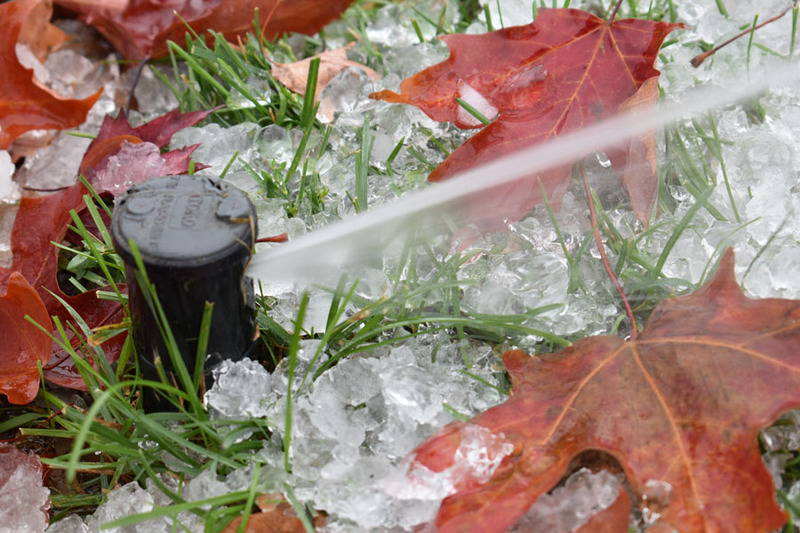 We'll make sure your sprinkler heads, backflow, and lines are safe from the potential freeze. We'll even use an air compressor to make sure your backflow is completely water free so you can rest easy this winter. And with our "Maintenance Package," we'll automatically call and schedule a start-up visit in the spring to get your system back up and running after winter. During this visit, we'll recheck your entire system and set your controller for the optimal water schedule. Take responsibility with us to save water today and call Conserva Irrigation today at (281) 843-8465 to schedule your free 12-point lawn inspection.